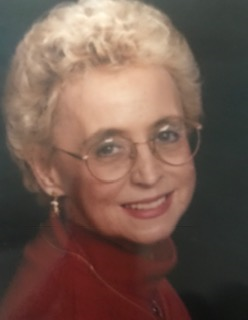 Obituary for Constance A. Haupt Rubinsak | Maloy-Schleifer Funeral Home Inc.
CONSTANCE A. HAUPT RUBINSAK age 78 of West Mifﬂin on January 15, 2019. She was daughter of the late Albert A. and Helen (Andrejcak) Cosley; she was the wife of the late Robert E. Haupt and the late William Rubinsak; mother of Linda (Terry) Hathaway, Terry (Debbie) Haupt, Thomas (Michelle) Haupt all of West Mifﬂin and Lora (Thomas) Komar of Dravosburg; grandmother of Heather, Zachary, Jared and Tanner; great-grandmother of Addison; sister of William A. Cosley of West Mifﬂin and Darlene (Rege) Ditmore of Punta Gorda, FL. There will be no visitation or service. Arrangements entrusted to MALOY - SCHLEIFER FUNERAL HOME, Duquesne 412-466-3300.